At monster clean, we are experts in commercial and residential carpet cleaning in Norfolk va. Carpet restoration, carpet protection, carpet repair, and stain removal are just a few of the many services we provide for carpet cleaning Norfolk VA. We combine the best prices, the industry’s leading equipment, and well-trained employees to provide our clients with a level of service and quality no other company can provide. Our team can restore your old and dirty carpet, saving you time and money that you would normally have to spend to replace. We are committed to providing Norfolk VA with clean and healthy environments, at an affordable price. The IICRC sets the standards for carpet cleaning and restoration, and provides certifications for the industry through a series of courses. Our Team is entirely certified by the IICRC, and is trained to handle a wide variety of carpet cleaning Norfolk VA jobs. Carpet is just one of our specialties, we are also experts in upholstery, tile, and oriental rug cleaning and restoration. Products we use are based on both the IICRC recommendation for each type of material, and the carpet manufacturers specific instructions. Carpet manufacturers recommend the use of hot water rotary steam extractors to clean carpets, which are the machines all of our trucks are equipped with. Most Norfolk va carpet cleaning companies use a different method of cleaning, that we find less effective in removing contaminates from carpet. Other cleaning methods also leave carpet moist, creating an environment for bacteria and mold to grow. We use the best equipment, because it is counterproductive to pay a carpet cleaning company that will leave your carpets dirty or susceptible to mold. Employing the best equipment is the only way to ensure that your carpet is restored to like new condition. Our team starts by conducting a thorough walk through of your home or business to assess the condition of the carpet and determine the best cleaning solution. Once the property has been inspected, we start with a pre-vacuum for your carpet. 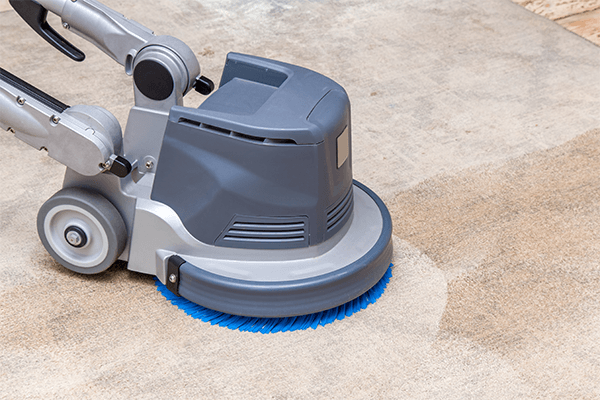 This removes any dry soil, or loose debris that is on the surface of your carpet. With the carpets surface cleaned, we then move onto pre-conditioning and pre-spotting. The pre-spray is applied to high traffic areas that receive the most amount of wear, and aid the steam extractors in breaking up tough dirt. After our pre-spray application, we break out our rotary steam extractors and begin to deep clean your carpets. This phase of our carpet cleaning process will flush out all of the soil and detergents, leaving you with fresh, clean, and dry carpets. Any remaining spots will receive care without specialized spot removal solutions. We also offer expert Carpet Cleaning Virginia Beach services. Even though our extractors leave your carpets dry, we still lay out a high-powered circulation fan to ensure your carpets are thoroughly dry before we leave the location. For most carpets, we recommend that you take advantage of our carpet cleaning Norfolk VA protection services to ensure that your carpet is stain resistant, and easier to clean. To protect your carpet from stains, mold, and grime build up we can apply our Teflon Advanced carpet protectant. When we apply our DuPont protection solution, your carpet will not only be stain resistant, but it will also make your fabrics easier to clean and care for. Our carpet protection services are a great investment, and ensure that you won’t have to replace your carpet down the line from severe neglect and staining. The products we use to protect your carpet are odorless, and are people and pet friendly. Oriental rugs require special care compared to conventional carpet. The fibers of a rug are stained with dye, and if mistreated the rug could lose its color. We have trained all of our employees to be able to properly groom and treat oriental rugs so that the colors of the rug are preserved throughout the cleaning process. We take advantage of the IICRCs recommended cleaning products for oriental rugs and only use the best cleaning processes available for your oriental rug. Pre-Inspection: We carefully inspect and start a photographic record of your Oriental Rug cleaning. Your Monster Clean expert will spend time discussing your rug and answer any questions you may have. Possible permanent stains will be noted, and you will be provided with an evaluation of expected results. Monster Dry Soil Removal: Dry Soil is removed with our custom rug duster. It is a harmonic vibration/ deep massage machine that gently dislodges dirt and other particles from your rug’s foundation. Both the front of the rug and the back of the rug are dusted in this way. The rug is also thoroughly vacuumed between several dustings. This is one of the most important steps in the cleaning process. Dye Stability Testing: The colors in hand-knotted or hand-woven rugs must be tested to avoid the migration of dye to unwanted areas. We test every color in your rug individually to ensure color fastness prior to the selection of a cleaning process. Process Selection: While most rugs can be cleaned using our full immersion process, some rugs are well suited only for “low moisture” or “dry cleaning” techniques. We will select the method most likely to result in the optimum level of cleanliness for your rug, while preserving the color, shape, and strength of your fine rugs. Monster Full Immersion carpet cleaning Norfolk VA: When it has been determined that the Oriental Rug dyes are stable, your rug will be washed using our full immersion process. Speed Drying: Your rug will be dried by either being lifting into our drying tower or by lying flat on our blocking and drying racks. The best drying method will be selected for your rug. Rug Finishing: Finishing involves pile and fringe grooming, fringe color correction (if necessary), and other final detail work. Having a clean and healthy work environment is critical to the success of an office or work space. Dust and mold build up in carpet can be harmful and can cause workers to experience a range of allergy related symptoms that inhibits work productivity. We provide our clients with the best cleaning services and solutions because we understand the importance of a clean work environment. The equipment we utilize is the best in the industry, and allows us to clean large commercial spaces quickly and efficiently. Carpet cleaning Norfolk VA, Carpet Cleaning Chesapeake VA, and Carpet Cleaning Hampton Roads is a major part of who we are, but we also provide routine full service janitorial cleaning and cubicle cleaning. Call us today to learn more about our janitorial and commercial carpet cleaning Norfolk services.